I am going to work backwards. In April 1922, exactly one year after the Bolsheviks finally obtained power, the Armenian SSR was able to put into circulation two sets of pictorial stamps printed in Constantinople at the Yessayan Printing Works. Christopher Zakiyan credits the design of both sets of stamps (a total of 26 designs!) to the artist, Sarkis Khachaturian / Khachaturyan. Back in August 1921 Khachaturian was sent to Constantinople (in the company of one G.Babaian) with Mandates from two Armenian state bodies: NARKOMINDEL [People's Commissariat of Foreign Affairs] and NARKOMPOCHTEL[ People's Commissariat of Posts and Telegraphs]. In Constantinople, he must have gone to the Yessayan Works either carrying his art work or to review progress in the production of the pictorial stamps issued in 1922. 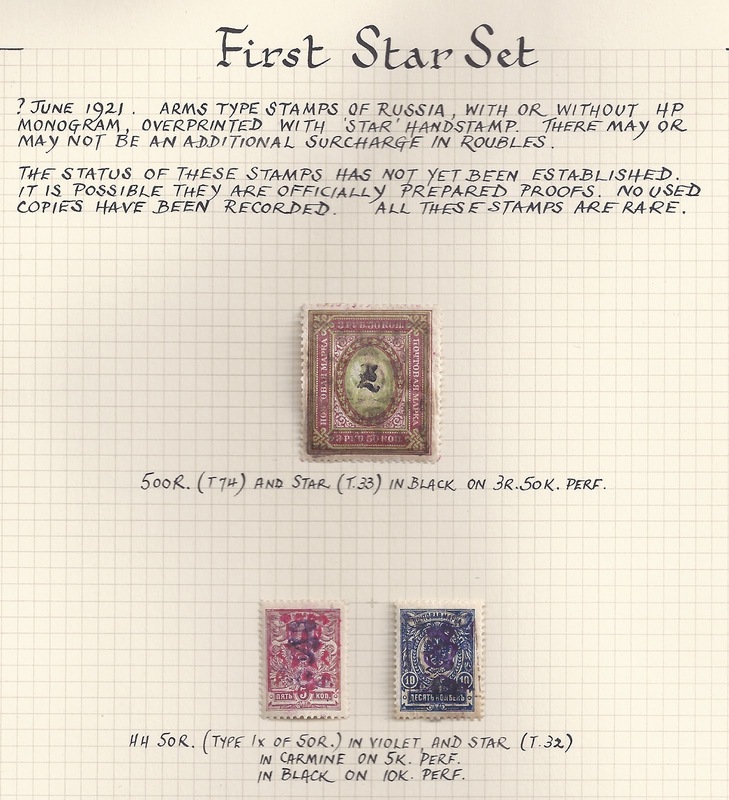 But he was also carrying - for official export sale - 100 sets [series] of 10 stamps - and so was Babaian - of what are known as the "First Star" overprints. 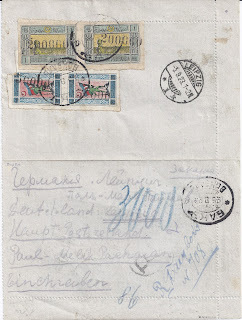 In the distressed circumstances of 1921 Armenia, it was no doubt hoped that sale of these stamps would at least fund his and Babaian's living expenses. These 2000 newly-overprinted stamps were envisaged as a trial for a potentially larger edition, aimed at the export market but possibly also for internal distribution. 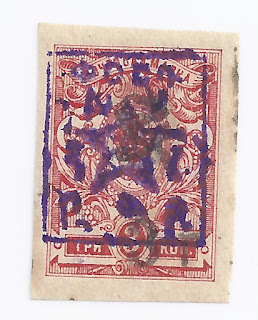 Armenian post offices stopped selling stamps in July 1921 and instead accepted payment in cash for letters. 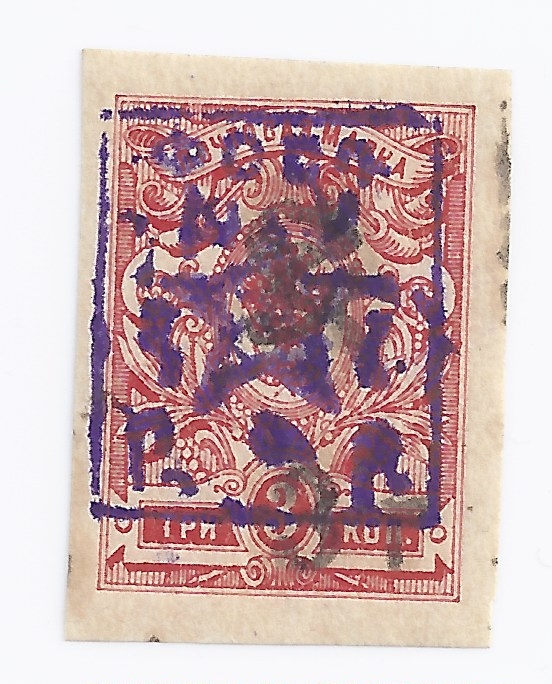 But NARKOMPOCHTEL held a large number of stamps left over from the Dashnak period. 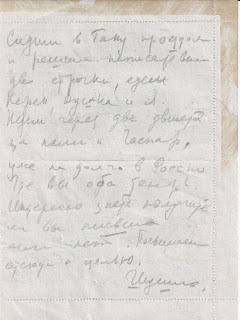 They made an Inventory of what they had and Zakiyan and Saltikov published it in their 1988 book Post and Postage Stamps of Armenia (see page 99 - it is this list which the Michel catalogue mistakenly uses as a list of quantities issued, leading to completely wrong valuations of several stamps). Anyway, the Inventory lists a total of 1 960 588 stamps - all but a handful with Dashnak rouble re-valuations already applied. Well, two million stamps seems way in excess of any likely short-term requirements in Soviet Armenia and there was no obvious reason not to export those surplus to local requirements, as they were or overprinted (yet again) to signal the arrival of Soviet Armenia. It was the Bad Guy, Paul Melik-Pachaev, who suggested the latter strategy and, indeed, it was followed - even if never followed to completion. New handstamps were made - two small, two large - and, in addition seven new punches showing just figure of value to be added separately as required. 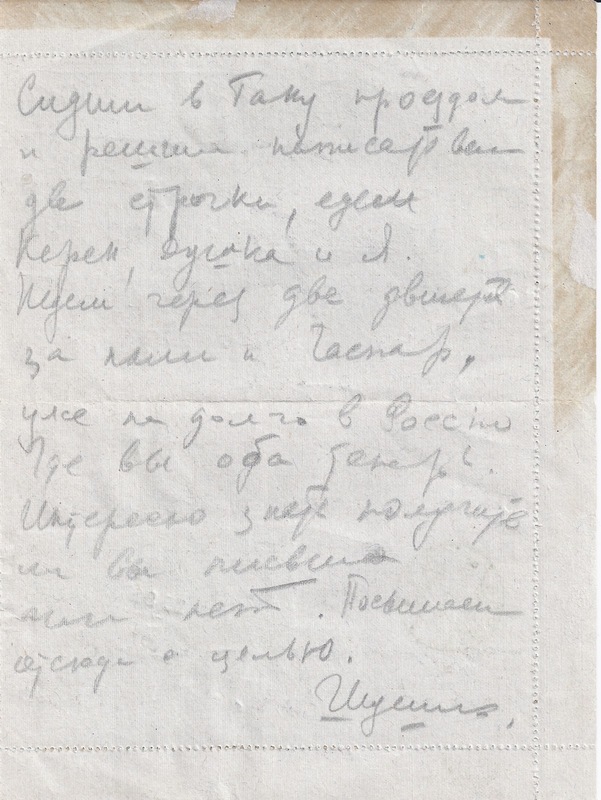 All this information is in the NARKOMPOCHTEL archives studied by Zakiyan and Saltikov. 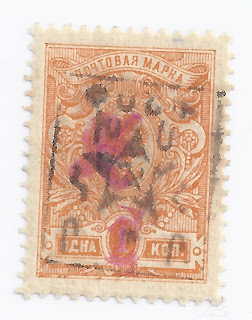 The Council of People's Commissars took an active interest: the project of selling stamps abroad for hard currency looked like a way of funding the desperate needs of the Post and Telegraph Department (reduced to 90 telephones and 32 Morse telegraph devices). 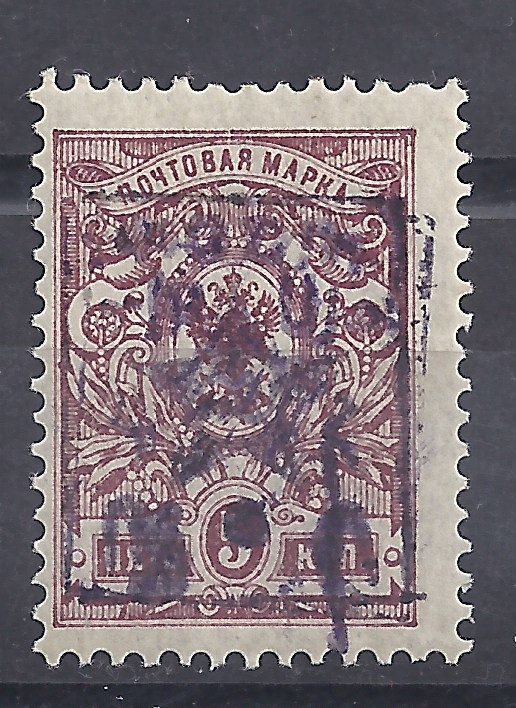 Zakiyan and Saltikov think that more stamps were produced than the 2000 carried to Constantinople, but they do not know how many or in which combinations. But at some point the whole project was abandoned. Maybe it just seemed simpler to accept cash payment for letters until new stamps arrived. Maybe sales of the stamps sent to Constantinople were disappointing. Maybe someone pointed out that the stamps looked ridiculous and totally impracticable for any use. Maybe NARKOMPOCHTEL was becoming suspicious of Melik-Pachaev, based in Tbilisi. The overprint handstamps contain spelling errors (as both Zakiyan & Saltikov and Thcilingirian & Ashford point out). 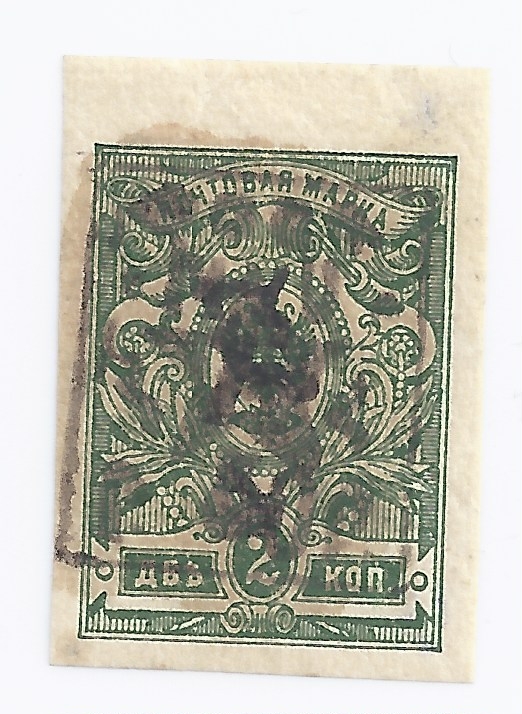 They may have been a gift by Melik-Pachaev to Narkompochtel and he may have had duplicate handstamps made - though I think this unlikely given the fact that the quantity existing of First Star stamps - regardless of whether they are genuine or not - seems very small. 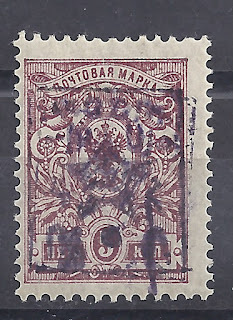 There is a clear difference between the status of the First and Second Star stamps. 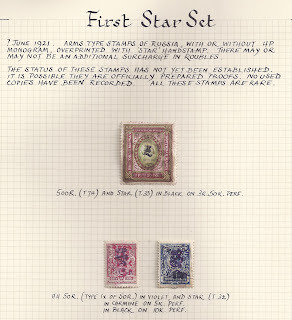 The First Star stamps should be listed in catalogues as trials which had a limited but 100% Official distribution through the emissaries to Constantinople. 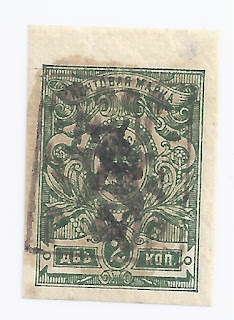 The Second Star stamps should be mentioned as Bogus but passed off as official issues - and which have been forged. Slania? Yes. But what about Zarins?